Apple cider donuts are a classic way to kick off fall. Every year when the local cider mills open I make the rounds sampling the apple cider donuts. And we have a lot of cider mills in central New York. They always have the perfect texture, dense and moist inside with a sweet cinnamon sugar coating. Although I’ve seen them without it I don’t think it’s really an apple cider donut without the crunchy coat of sugar. 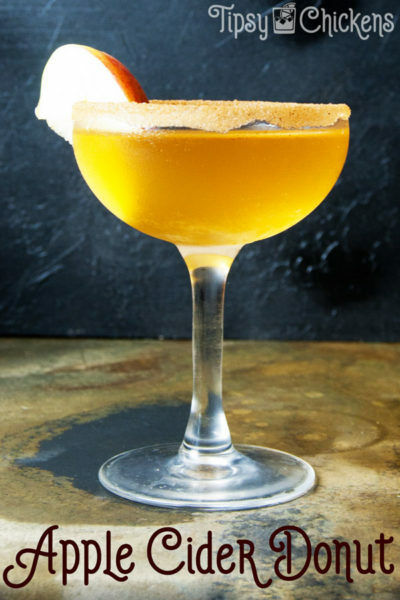 I wanted to bring that sweet cinnamon crunch to this cocktail by adding a sugar rim. Adding a fancy rim to a cocktail glass is really easy and it makes everything look extra fancy! You’ll need corn syrup, cinnamon and sugar for this particular fancy rim. Feel free to measure out the sugar and cinnamon, or do as I do and eyeball equal amounts. Stir them up and get rid of any sugar lumps. Pour a small puddle of corn syrup onto a plate and press the glass straight down into it. Corn syrup is very dense and it will stick to the glass around the lip. Pour the cinnamon sugar onto a different plate (not the corn syrup plate 😉 ) and dip the corn syrup coated rim into it. Try not to shake the cinnamon sugar around too much or the cinnamon will move to the top and you’ll end up with a mouth full of cinnamon instead of the crispy cinnamon sugar we’re going for. The main player in this cocktail isn’t even booze. Apple cider is made from crushing and pressing apples, it’s unfiltered and cloudy and has a texture you can’t find in apple juice. It’s also sweet as hell and as my age catches up with me I’m finding my tolerance is going down. 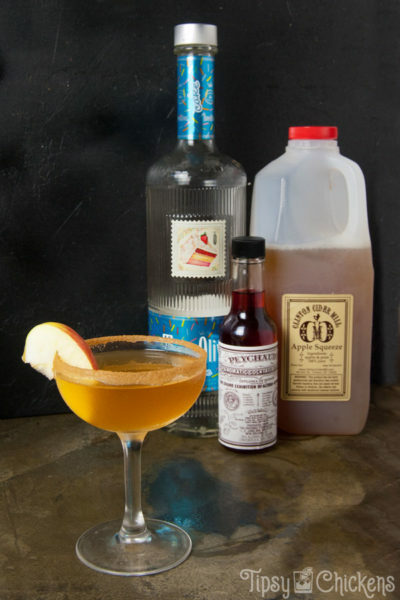 As crazy as it sounds, in order to turn this from plain cider into a delicious cocktail we’re adding more sweet. Cake vodka is the source of alcohol in this drink. I used Three Olives but Smirnoff, UV & Pinnacle also make cake vodka. If you can’t find Cake try vanilla vodka. The final ingredient is 110% necessary to cut back the sweetness. Peychauds bitters are bright red and filled with concentrated flavor. The recipe is a New Orleans secret but the label vaguely claims herbs and spices as ingredients. If you’re curious about bitters and building u your home bar Amazon has a three pack of Peychauds, Regans and the classic Angostura bitters. That’s what I bought when I started playing around with cocktails and I’ll probably be leaving them to someone in my will. Bitters are literally measured in dashes so a bottle will last a long time and many, many drinks. You can customize the drink to suit your taste but starting with one dash, shaking and tasting then adding another if it’s still too sweet. 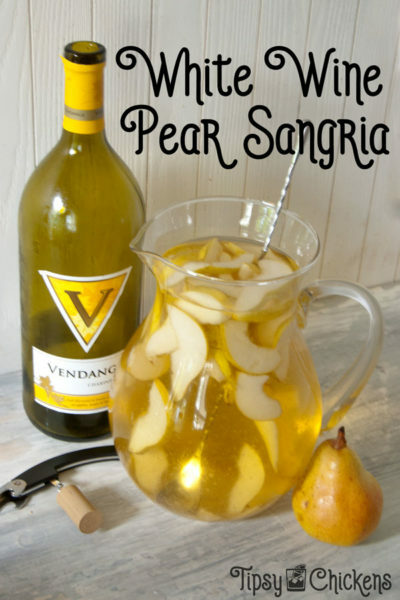 This drink should be shaken, it gets the cider a bit frothy and you really need a but of dilution to help bring the flavors together. I use a three piece cocktail shaker and the built in strainer for all of my cocktails. Fill the shaker 2/3 of the way with ice, measure in the cider and vodka with a jigger and then add the bitters. Shake vigorously until the shaker is frosted on the outside. 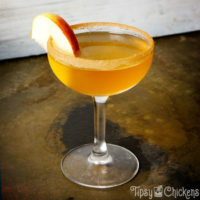 Strain into your pretty cinnamon sugar rimmed glass and serve with an apple slice on the side. 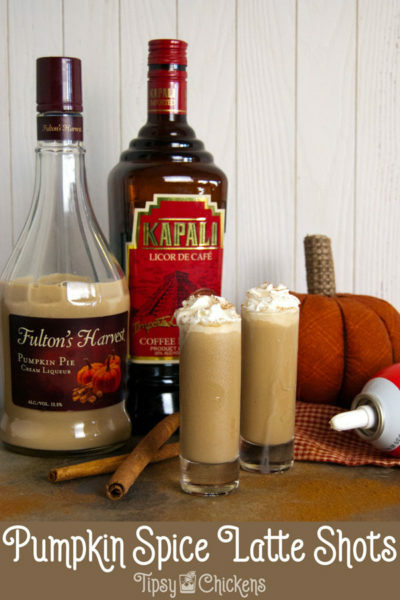 I hope you enjoy my alcoholic interpretation of a fall favorite! Don’t forget to PIN this to your cocktails board!